This is a great mechanical pencil, the chalk leads are 0.9 and therefore do not break so easily. Refills are available. 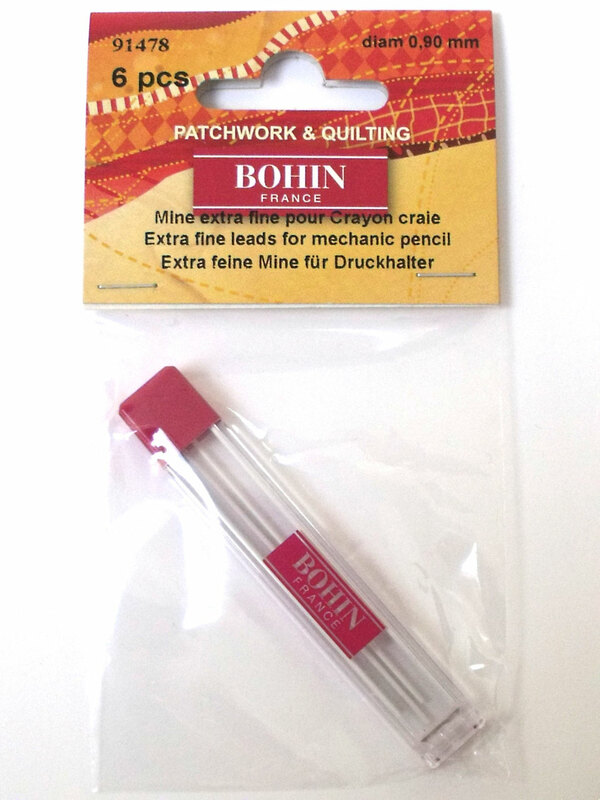 The pencil is created for sewing and marking fabric but it really works well with parchment craft tracing. A pack of 6 white lead refills 0.9 - will only work with the Bohin Mechanical Pencil. 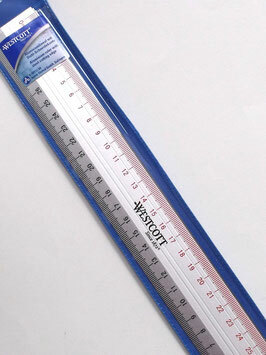 This 30cm long ruler boasts a steel inlay, which is an ideal cutting edge when using craft knives. It is completey see-through and is perfect for your crafting needs. 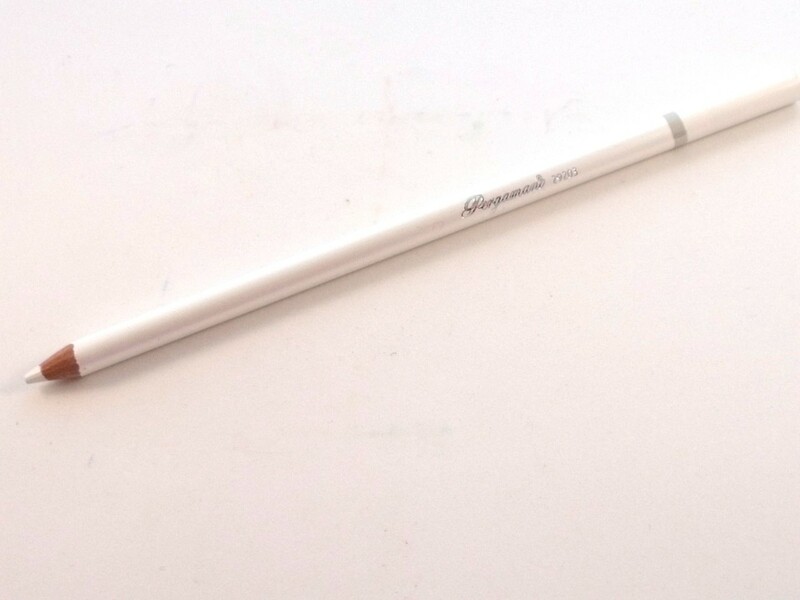 A Faber Castell mechanical pencil, uses the 0.5 Pergamano white lead refills. A classically-styled professional pencil with a full set of features. 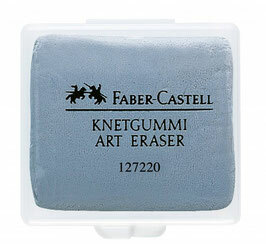 The Faber-Castell TK-Fine has a pocket-safe fully-retractable lead sleeve; eraser with cleaning pin; and metal pocket clip. 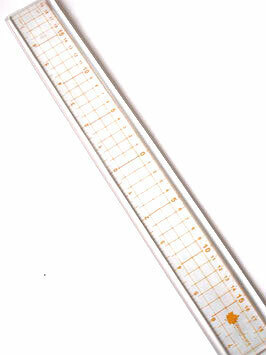 A pack of 20 white leads 0.5mm - they will fit our existing 0.5mm mechanical/ automatic pencils. I have tried them out and they are quite fragile (as are all white leads) but if you are light handed with them and use the pencil as upright as possible this will reduce breakage. If you try them out let me know what you think of them. 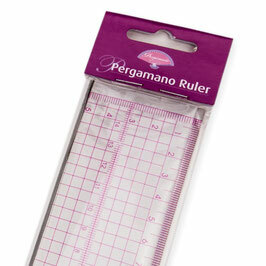 Pergamano White Pencil - use for tracing on to parchment. Lyra Splender Blender, a colourless wax blender pencil ideal for use with polychromos pencils. Wax free pure graphite tracing down paper allows you to transfer designs from a sketch, pattern, template or free-hand to any surface. Tracedown is very easy to use simply place one sheet of wax free transfer paper between the image and your paper and simply trace over the outline. Greaseless - can be erased like a pencil with no smear or smidge. Can be inked or painted over with no skipping or bleeding. Transfer lines can be sponged, washed out or brushed off fabric. Reusable. A4 5 sheets. Wax free pure White tracing down paper allows you to transfer designs from a sketch, pattern, template or free-hand to any surface. Perfect for use on black parchment paper. 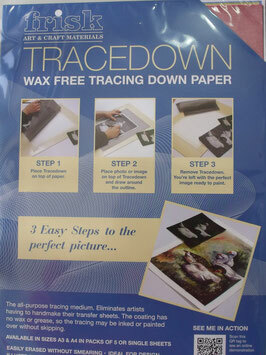 Tracedown is very easy to use simply place one sheet of wax free transfer paper between the image and your paper and simply trace over the outline. Greaseless - can be erased like a pencil with no smear or smidge. Can be inked or painted over with no skipping or bleeding. Transfer lines can be sponged, washed out or brushed off fabric. Reusable. A4 5 sheets. Wax free pure assorted tracing down paper allows you to transfer designs from a sketch, pattern, template or free-hand to any surface. Assorted colours are: graphite, yellow, white, red and blue (one sheet of each).Tracedown is very easy to use simply place one sheet of wax free transfer paper between the image and your paper and simply trace over the outline. Greaseless - can be erased like a pencil with no smear or smidge. Can be inked or painted over with no skipping or bleeding. Transfer lines can be sponged, washed out or brushed off fabric. Reusable. A4 5 sheets. Excellent Battery operated eraser great for erasing polychromose coloured pencil. No Batteries included. Requires 2 AAA batteries. Refills for the Jakar Battery Eraser. Pack of 30 refills. The perfection eraser pencil is especially suited to erasing fine detail. It can be sharpened with a normal sharpener. The pink tip is suitable for graphite and coloured-pencil. 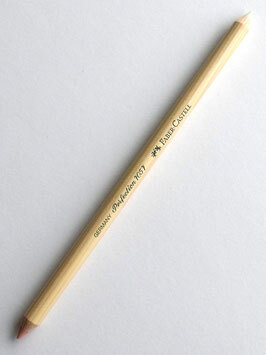 The perfection double ended eraser pencil is especially suited to erasing fine detail. It can be sharpened with a normal sharpener and is ideal for pin-point erasing. 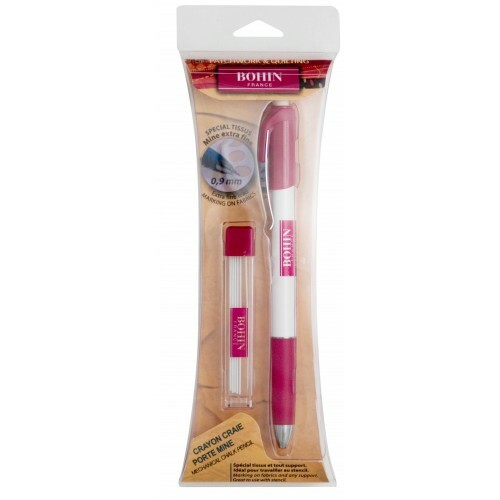 Double-ended - the pink tip is suitable for graphite and coloured-pencil; white tip for ink. The perfection eraser pencil is especially suited to erasing fine detail. It can be sharpened with a normal sharpener and is ideal for pin-point erasing. 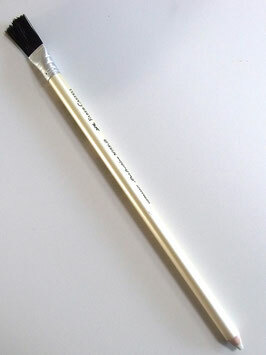 This white tip for ink and pencil crayons, and brush for brushing away eraser shavings. 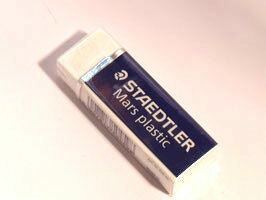 Mars plastic erasers provide practically residue-free erasing, which is precise and clean. The eraser is supplied in a protective cellophane wrapper with practical tear-and-open strip. It has a sliding sleeve for convenient handling. 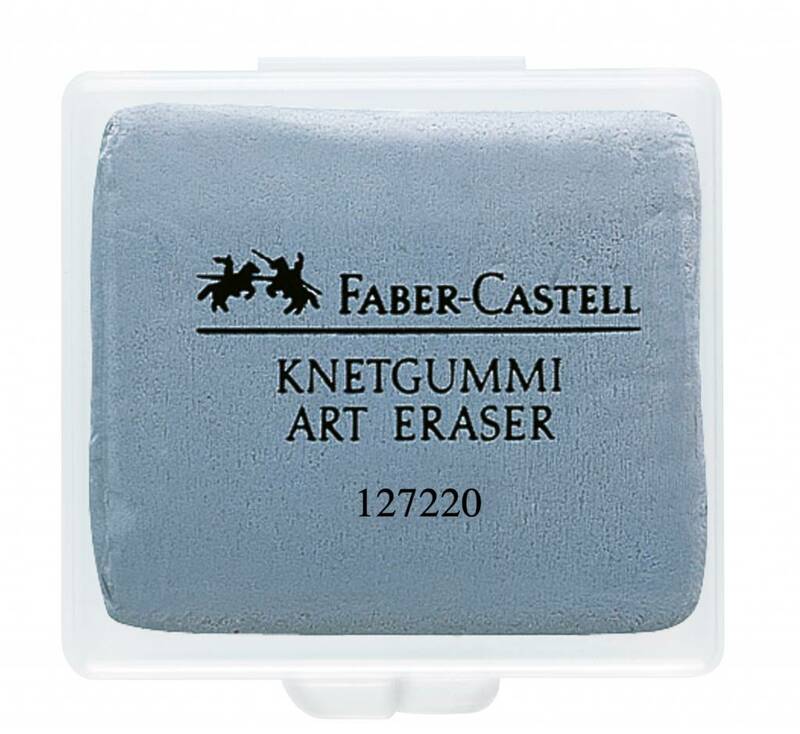 Kneadable putty eraser for artists. A superior pencil sharpener for all shapes and sizes of pencils. Faber Castell artists' sharpening sandpaper block. 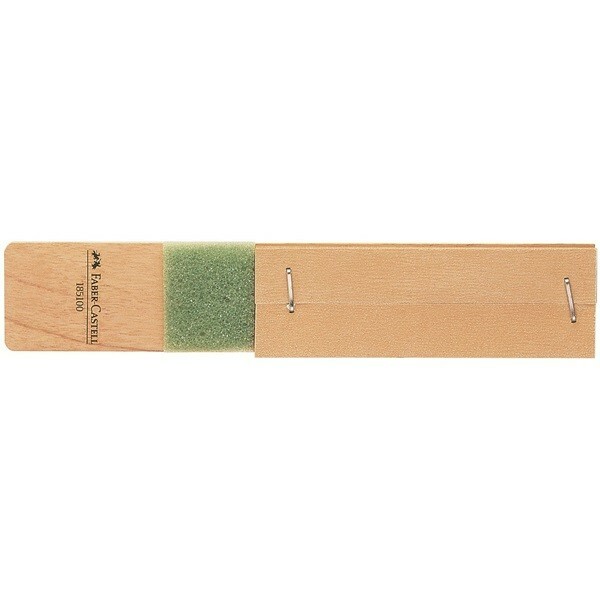 Two strips of fine and coarse sandpaper for the finest lead sharpening, tortillon, blending sticks and cut n dry nibs. Also suited for producing pastel powder etc. The very useful ruler is a 15 inch/ 38cm clear plastic ruler with measurements starting at the centre. 2 The List Price is the price this item was before the reduction.